I live in southcentral Colorado on a family ranch at the north end of the Sangre de Cristo Mountatins. We raise natural beef, have a handful of goats, chickens, dogs and a herd of cats. Oh, also a 3 year old donkey. I am recently retired after 19 years of teaching 5th grade at the Cotopaxi Consolidated School and looking forward to new adventures and having more time to write. Rescue in Poverty Gulch is the third historical fiction book I’ve written for MG/YA readers, and one of the things I like best about this genre is the research. Cripple Creek has always been an interesting place for me, so I took a “discovery” trip to visit the museum and see some of the sights. On a tour of the Molly Kathleen Mine, the guide talked about the donkeys and their work down under. 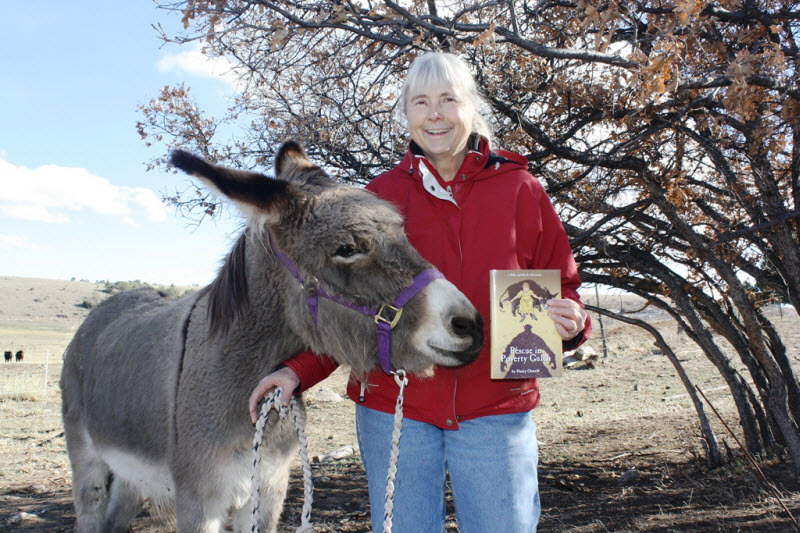 The characters of Ruby and her donkey, Maude, emerged from the mine with me although they were a long way from being fully developed. The rest of the story came from bits and pieces of that Cripple Creek visit: learning more about the fires of 1896, collecting books, maps, and a poster of a man selling candlesticks to miners. This poster turned out to be the proto-type for Ruby’s Pa and provided background information for the story. About the book? It’s fun. Enjoy the ride. And don’t pull the donkey’s tail! My first book was published by Henry Holt. My second book was in progress when I met Doris Baker of Filter Press Books at a writer’s conference. She was enthusiastic about my idea and asked to see the book when it was finished. Hard Face Moon was purchased by Filter Press, and I remember the delight of sitting down in person and signing the book contract with Doris. While my publishing experience with Holt was a good one, I have really enjoyed the close communication and face to face opportunities of working with an independent book publisher. I have known about CIPA via Filter Press Books, but my first direct experience with CIPA has been my most recent award. Wahooo!!! It has been wonderful to feel the support of the entire organization and to realize the impact the organization has for writers and publishers throughout the state. 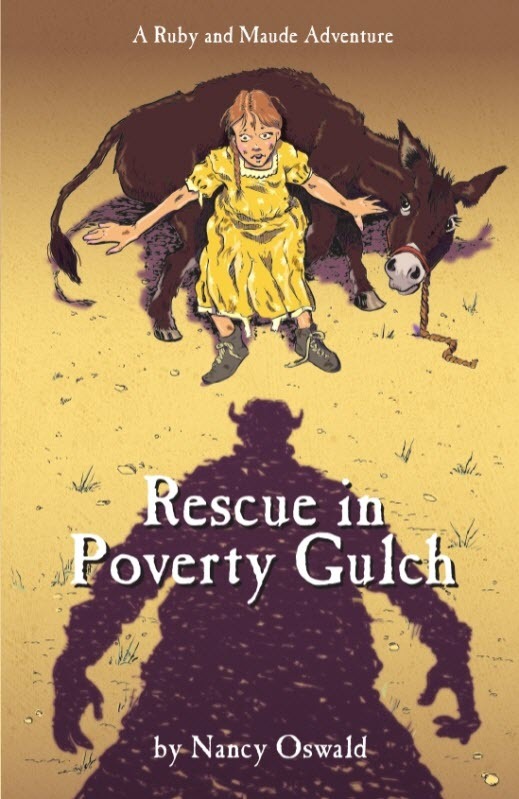 I plan to write sequel to Rescue in Poverty Gulch. This wasn’t in my original plan, but when I tried to “write” Ruby and Maude out of town, they wouldn’t leave. I am also looking forward to the Filter Press publication of Nothing Here But Stones which is the book that was originally published by Holt. Is there anything else our readers should know? Maude Oliver, ficional character, needs friends on Facebook. If you go to her page and “Like” her she will be devoted to you forever.